Konstantin Kim’s 3DMentor has released a new HQ Plant collection of high-definition, carefully groomed, 3D Trees ready for 3ds Max and Cinema 4D supporting Mental Ray, V-Ray and Advanced Render. 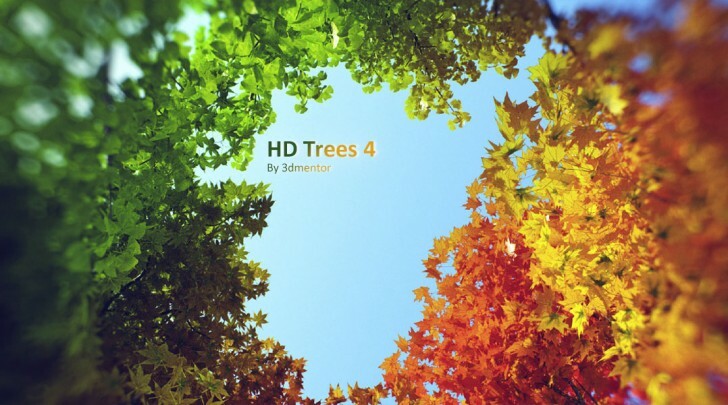 The new HD Trees Vol. 04 comes packed with over 140 3d models representing tree species such as : Acer Ginnala, Acer Palmatum, Acer Rubrum, Ginkgo Biloba, Hedera Helix, Parthenocissus Quinquefolia, Platanus Acerifolia and Salix Fragilis.